Deputy head of Likud youth movement dismissed for participating in meeting with PA chairman organized by Peace Now. The chairman of the Likud youth movement, David Shain, dismissed his deputy, Yoel Nagar, after Nagar took part in a meeting that Peace Now held with Palestinian Authority Chairman Mahmoud Abbas. 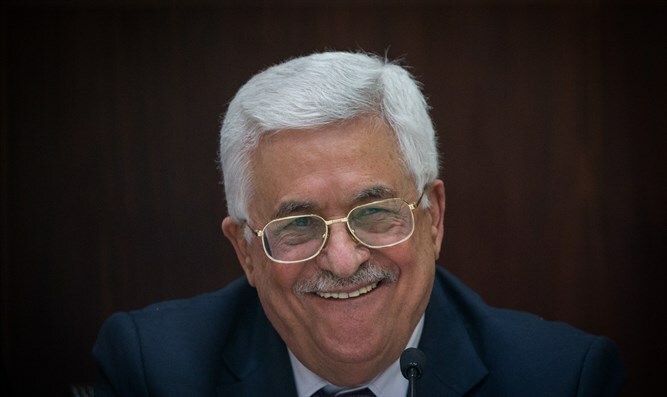 "I was shocked and amazed to hear from the media about the meeting of Yoel Nagar, within the framework of his position, with Abbas. This is unacceptable to me and of course was done without my knowledge and without coordination with me," he said. "As a result, I spoke with Yoel and informed him of his immediate dismissal from the position of deputy chairman of the Likud Youth, and he accepted it with understanding," he explained. It is an unusual move, because in my view a red line was crossed here which does not fit the policy of Likud Youth and the values of Likud,” Shain explained. Shaked Morag, director of Peace Now, said in response to the dismissal, "There is no limit to the moral low of the Likud, which dismisses an activist in the party because of a desire to hear the other side, while Netanyahu is conducting a dialogue with Hamas." "The presence of the Likud Youth at the meeting we initiated is proof that there is a generation in the right-wing party that is ready to discuss a political agreement, that is not willing to accept Netanyahu's incitement and intimidation. We are happy that we managed to hold such an important meeting and hope that the Likud will have the sense to replace not the activists who express hope, but the leadership of the party."